16 prizes to be won! Enjoy shopping for Art and Antiques? Fancy a browse for a bargain? Decorating your home in fashionable period style? 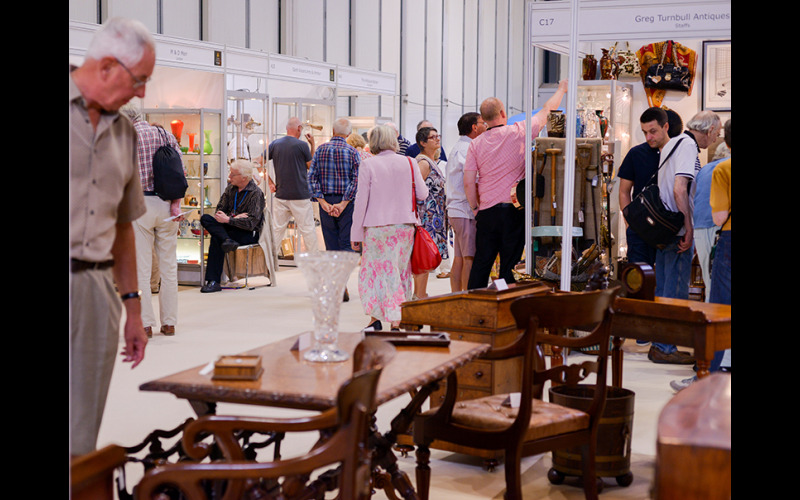 Antiques for Everyone at the NEC from 15-18 November 2018 has it all, from superb collectors’ pieces from less than £10 to the finest works of art, sculpture and furniture for more than £10,000. 8,000 collectors from around the world fill the fair in search of superb pieces assembled by 200 specialist dealers. There's jewellery, silver, ceramics and glass, too, plus Scandi design, Mid-Century Modern, vintage fashion and all kinds of unusual and desirable collector's items. Known across the world for its variety of exhibits, Antiques for Everyone is an essential buying source for collectors, interior designers, decorators and anyone with an interest in fine art and period design. Around 200 specialist dealers take part in a fair that is divided into two distinct areas, one providing an elegant showcase for the finest and rarest pieces, including traditional furniture, Asian works of art, the Decorative Arts, British and European paintings and 20th century designer pieces; the second a prime sourcing marketplace of stands with Scandinavian furniture, glass and ceramics, vintage jewellery, textiles, the earliest English pottery, porcelain, folk art, watercolours antiquarian maps and prints. Miller's Antiques Handbook & Price Guide remains the essential and trusted guide to the antiques market. It has earned the reputation of being the book no dealer, collector or auctioneer should be without. It is compiled by Judith Miller, world-renowned antiques expert and co-founder of the book, who selects the guide's 8000-plus featured antiques. Comprehensive sections cover ceramics, furniture, glass, silver and metalwares, jewellery and objets de vertu, clocks and watches, books, Oriental antiques, textiles, toys, decorative arts and Modern Classics. Special features explain why one piece is worth more than another, show how to value an item and teach you to be your own expert. Biographies of designers and factories give the background information you need to help date and value objects, while special 'Judith Picks' sections give fascinating background and valuation details for particularly interesting or unusual objects. Exhibits for sale at the fair are vetted by experts for quality, date and condition and with prices starting from £10 and going up to £100,000. Car parking is free at the NEC for antiques fair visitors and the fair provides a choice of cafes and bars.